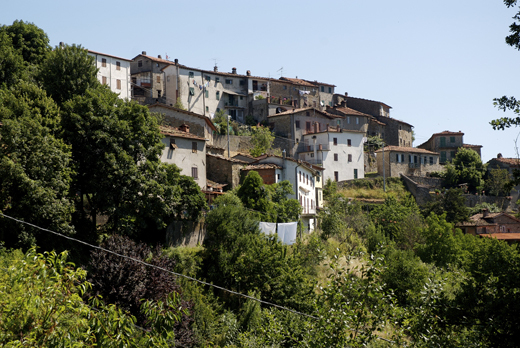 Granaiola is 416 meters above sea level and 7.5 kilometers from Bagni di Lucca.From Ponte di Serraglio take the junction to the right at ‘La Cova’ just past the casino.It’s a beautiful village facing east, exposed to the sun and surrounded by fields and vines. The village is divided in two, castle above and castle below the road that cuts in two the village is called ‘Via Dorati’ and at the nubers 16 and 29 there are three stone heads embeded in the houses locally made from the 18thcentury.Granaiola was visited by Montaigne the 10th September 1581, it was found in his dairy. It’s name comes from grain ‘grano’ as there was antique grain stores. 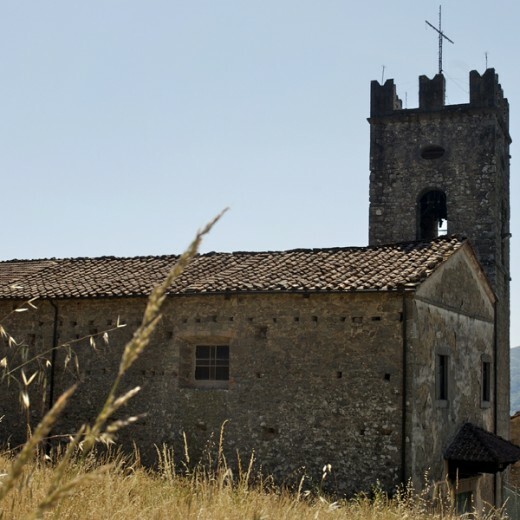 Granaiola is in a parchment of the year 793 and in another in 808,in a record of 847 Granaiola was under the Pieve di Controne. 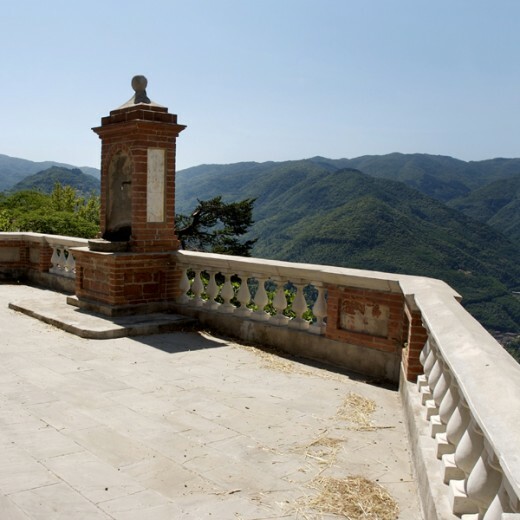 In the records of 983 results that it had to be spilt between men of Corvara di Versilia,then passed into the hands of the Suffredinghi family and in the end to the parish of Coreglia, in 1583 it passed to the Val di Lima.Granaiola was also under the jurisdiction of Borgo Mozzano under the government of Baciocchi.It became part of Bagni di Lucca only at the end of the last century.The parish church is dedicated to San Michele and is of roman origin.The bell tower was restored in 1887.In 1260 the church was given to the population of Villa Terenzana,the antique name of Pieve di Monti di Villa.The church has one aisle, a wooden roof and choir of 1801.The organ was made by Domenico Pucci in 1821 an organist of Lucca.